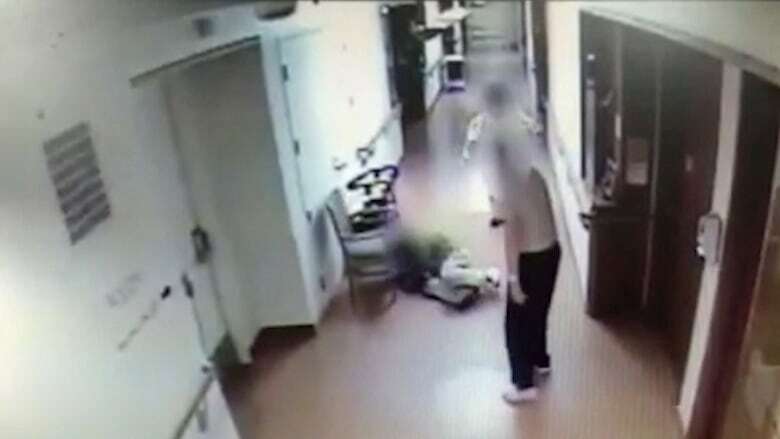 A Marketplace investigation finds reports of resident-on-resident violence have risen sharply in Ontario nursing homes. The family of an 84-year-old victim shares his story. Meyer Sadoway died in hospital on Jan. 20, 2013, four days after breaking his hip at his nursing home in Toronto. Staff at Baycrest told his family he'd fallen twice. But the security camera footage from the hallway — which his family says it had to wait six months to finally watch — told a much different story. "It's a horror movie," says Diane Miles, Sadoway's younger sister. It shows the 84-year-old standing in front of his room at night as a larger man wearing one shoe lumbers toward his door. The two men struggle briefly before the bigger man shoves Sadoway to the floor. As Sadoway writhes on the ground, his attacker grabs a chair and hurls it at him, striking Sadoway's walker. "I thought I would explode when I saw it," Miles says. "I thought, 'How is this possible?'" A Marketplace investigation has found reports of resident-on-resident abuse have risen sharply in Ontario nursing homes. When Marketplace first examined the issue back in 2006, there was an average of four reports each day, according to provincial data provided by long-term care facilities. A decade later, there were about nine reports a day provincewide, despite a fairly small increase in the number of residents — from 75,128 in 2006 to 78,000 in 2016. Experts say there are two major factors behind the rise: a growing portion of the nursing home population suffers from dementia, and many facilities don't have enough staff to handle the behavioural challenges that come with it. Many of the nursing home officials who spoke with Marketplace say the increased numbers reflect more thorough reporting practices. 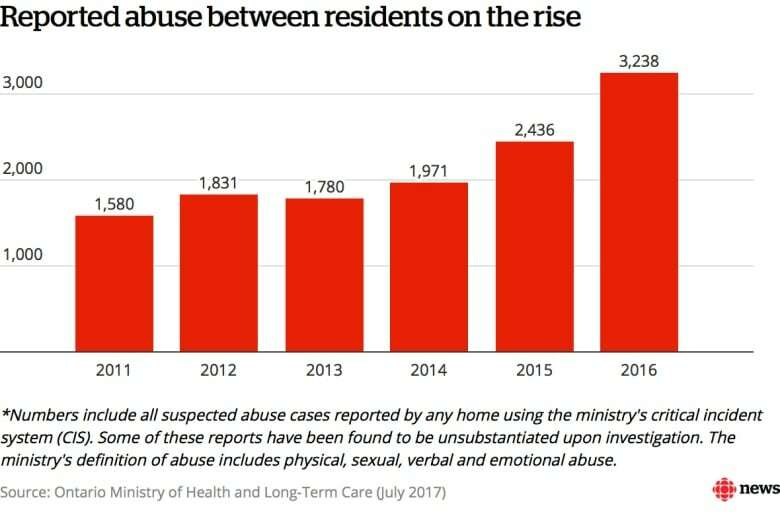 According to the most recent provincial data, reports of resident-on-resident abuse rose 105 per cent in just six years, from 1,580 in 2011 to 3,238 in 2016. Meanwhile, the prevalence of dementia increased from 56 per cent of residents in 2009-2010 to 63.1 per cent in 2016, according to the Ontario Long Term Care Association, which says it represents 70 per cent of facilities in the province. "We have a much older and sicker and frailer population, so you're getting more people who are acting out and have these behaviours, and also the people that they are acting out against are frailer and more likely to suffer some kind of consequence," says Jane Meadus, a staff lawyer at the Advocacy Centre for the Elderly in Toronto. 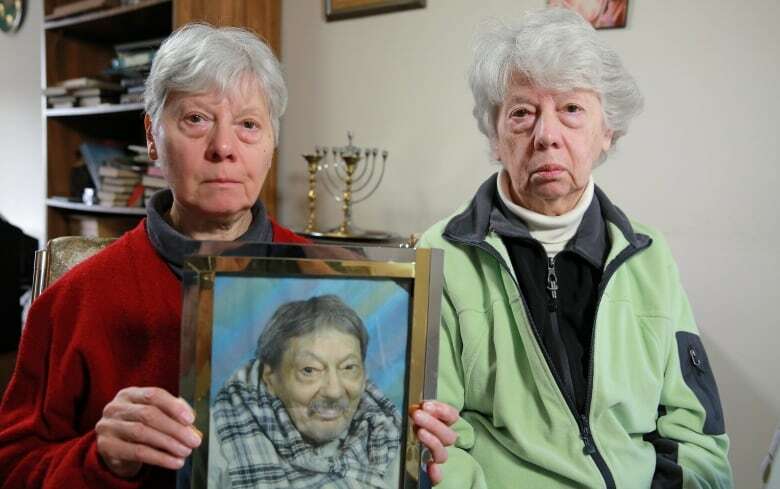 Sadoway's sisters, Miles and her twin Frances Sadoway, spent many years advocating on behalf of their brother, who had schizophrenia, a developmental disability and lived in institutions for most of his life. A stroke in 2003 left him with decreased mobility and difficulty swallowing food. That was followed by a heart attack in 2008. His ailments also included arthritis, cataracts and chronic obstructive pulmonary disease. In July 2012, he was transferred to a special unit at Baycrest for people with memory loss and behavioural issues. 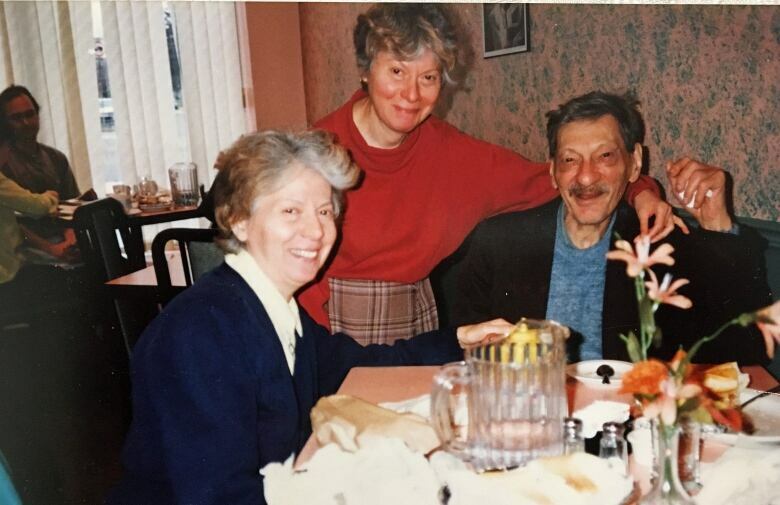 Living with so many people suffering from memory loss was difficult for Sadoway, his sisters say. He found the unit too noisy and often became frustrated. He lashed out aggressively toward other residents on several occasions in the months before he died. Long-term care residents with dementia are sometimes referred to as "exit-seeking." Experts say they get confused and try to leave when they don't know where they are. Sadoway's room was near the exit. His sisters say fellow residents with memory problems would gravitate to the area and try to go outside. When they couldn't open the exit door, they would drift into Sadoway's room and mill about. His sisters say this is why the security footage appears to show him standing guard in front of his door. They learned after the fact that their brother's assailant had become increasingly violent and attempted to fight other residents in the days before the attack. He tended to wander at night, going in and out of other residents' rooms. Workers have been calling for a minimum staff-to-resident ratio in Ontario long-term care homes for years. The province only requires there be a registered nurse on duty 24 hours a day. It's difficult to prevent violence if there aren't enough workers on the floor, says Miranda Ferrier, president of the Ontario Personal Support Workers Association, which represents 35,000 PSWs and advocates for standards in the profession. "When we're talking about putting more care into the system, we need to talk about more scrubs on the floor. How many staff do you have?" she says. "I truly believe that is the answer to so many of our problems." So, too, is proper training, Ferrier says. The majority of PSWs aren't trained in crisis prevention and intervention strategies for people with dementia, she says. "That's not mandatory for us." At night, when residents with dementia tend to need the most support, staffing levels can be especially low, she says. "They don't sleep. They're up. And they're up all night. And typically what they'll have is one personal support worker on a floor of 25 or 30 [residents]." Antipsychotic medications used to be more widely prescribed in nursing homes to treat symptoms of dementia such as aggression. 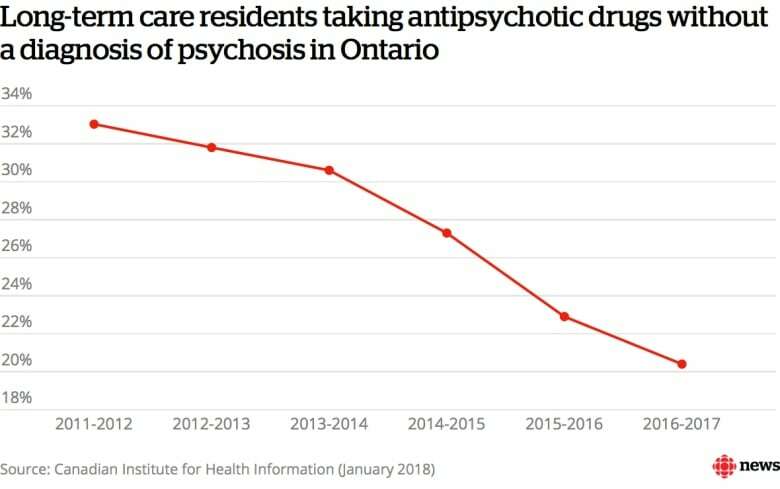 In 2012-2013, nearly a third of seniors in Ontario facilities were prescribed these drugs without a related diagnosis of psychosis. But there has since been a push from families and advocates to get seniors off antipsychotics because the drugs were found to have dangerous side-effects, including increased risk of confusion, falls and death. CBC hired two statisticians to analyze government data from more than 600 long-term care facilities in the province over the past five years. They found that as antipsychotic usage went down, reports of resident-on-resident abuse went up. 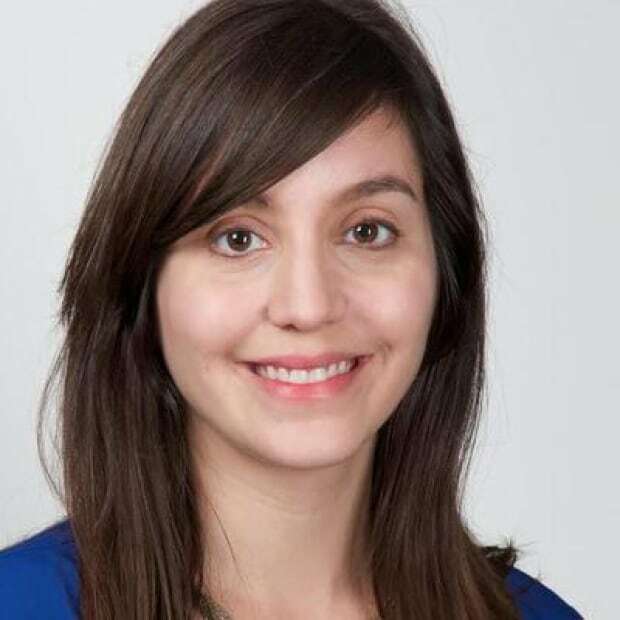 Julia Kirkham, a physician and researcher at Queen's University in Kingston, Ont., who studies geriatric psychiatry, says there's a lot of pressure on nursing homes to reduce the use of antipsychotics and to prevent violence at the same time — a daunting task made more difficult without adequate staffing or resources. "There has to be some give there," she says. Kirkham is working with 10 nursing homes in Ontario and Saskatchewan to train staff to recognize which residents would benefit from being taken off antipsychotics. But she says there's a need for more research on potential unanticipated or unintended consequences. She says another factor that may help explain the violence numbers is simply that nursing homes are being more proactive with their reporting. Sadoway's sisters chose not to have an autopsy, for religious reasons, so there is no official cause of death. They say the coroner encouraged them to ask questions about how their brother broke his hip. It took six months before an agreement was reached with Baycrest to meet and discuss their brother's final hours at the home. It was that day, sitting in a room in their brother's former home, surrounded by Baycrest staff, when they saw the video for the first time. "I'm thinking, 'I can't believe that's my brother,'" Miles says of the experience. Baycrest said it couldn't speak to Sadoway's case specifically, but the home did tell CBC in an email that while advocates may believe more staff would eliminate violent behaviour, "no amount of care planning can prevent all altercations, short of restricting a dementia patient's rights and freedoms through environmental, physical or drug-induced restraints." Ontario Health and Long-Term Care Minister Eric Hoskins says the government has committed to a number of strategies to reduce abuse in long-term care, including a promise to provide a daily average of four hours of direct personal care to every resident. The Canadian Union of Public Employees expressed concern about the plan when it was announced in November, saying the "announcement is not what it seems." "Right now, the government counts workers who are off sick or on vacation as if they are by the bedside," CUPE Ontario secretary treasurer Candace Rennick said in a statement at the time. "This doesn't help seniors when they're calling for help to the bathroom." The union also said it was concerned there was no timeline for the rollout of the plan. But Hoskins says he's confident the government is "making the changes to reduce and eliminate the violence that we do see, and that regrettably does happen." He says the government "won't rest" until the number of abuse reports in long-term care homes is zero. ​CBC analyzed six years of data (2011-2016) obtained through Ontario's Ministry of Health and Long-Term Care, public records and the Canadian Institute for Health Information. We counted all abuse and neglect reports involving caregivers and residents submitted by long-term care facilities through the ministry's critical incidents system. Some of these reports have been found to be unsubstantiated upon investigation. The ministry's definition of abuse includes physical, sexual, verbal and emotional abuse.